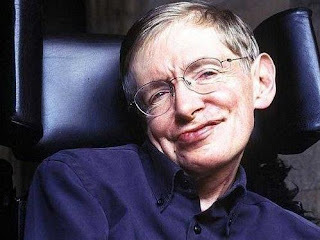 His contributions to all fields have been exceptional and we have learned a lot from him in terms of black holes, space, ALS, the Theory of everything and love. Because the astrophysicist not only lived a life full of complications due to his illness and unprecedented discoveries, he also had a love story worthy of a movie. Jane and Stephen fell in love at the University of Cambridge, when he had just been diagnosed with amyotrophic lateral sclerosis. She decided not to listen to those who told her that there would be no future and that he would die soon. They married in 1965 and had three children: Robert, Lucy and Tim. Theirs is a true love story. Because of the pressures they suffered in terms of the illness and pessimism of their relatives, because Jane ended up falling in love with another man and because, despite all this, they managed to get their marriage out for 25 years, until they officially divorced in 1990. Jane was at his side during the process of adaptation to the ALS of the astrophysicist and lived in the first person the extreme physical deterioration of her husband. Added to this was the growing international reputation of Stephen Hawking as a renowned scientist, who left her in the shade and totally isolated. "The truth is that we were four in our marriage, Stephen and I, the disease and the physics, if you remove the ALS from the equation, you still have the physics." said Jane when asked why she felt so reduced in her marriage. In 1977, Jane met her husband, Jonathan Hellyer Jones. It happened in the choir of the Church to which she went to find rest and disconnect from her situation at home. For a long time her relationship with the musician was Platonic, and he became a constant in her life. They became close friends and Jonathan began to help and support her, taking care of Stephen and converting their marriage into a relationship of three. This strange relationship aroused criticism from third parties about the way they lived their lives, which increased the pressures on marriage. However, this was not the reason for their divorce. She loved Jonathan and depended on him and his emotional support, but she also loved Stephen. "There was no alternative but to move on, I felt committed to Stephen and I did not think he could cope without me, I wanted him to continue doing his wonderful job and for the children to have a stable family, so we stay together," she said. Stephen understood the need for support and romantic love that Jonathan brought to Jane's life and wanted to see her happy. Jane loved her husband and did not want to leave him alone in his circumstances. This is how Jonathan became part of the family, even raising doubts about whether he was actually Tim's biological father, although the marriage always said he was the son of Jane and Stephen. The three loved each other and respected each other. A complicated relationship that is beautifully captured in the film The theory of everything, based on the book Traveling to infinity: my life with Stephen. In 1990 they separated and in 1995 they officially divorced, when the children were older and the astrophysicist met Elaine Mason.